Today’s hearing was attended by Ms. Valentina Poikina, representative of M.U. 09762. 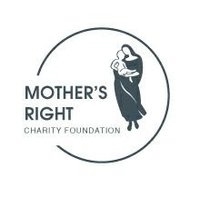 She brought a letter of objection to a compensation suit filed by the Mother’s Right Foundation on behalf of the mother of the deceased. According to the letter, the unit should not be obliged to pay any compensation. The representative did not announce her position because her letter of attorney was not correct. The court obliged her to bring a correct paper. Next hearing is scheduled for June 18, 2012, 14:00. The previous hearings: May 29 and 30, 2012; June 5 and 6, 2012. (See press releases: No. 44/1478 of 28.05.12; No. 45/1479 of 29.05.12; No. 46/1480 of 30.05.12; No. 47/1481 of 04.06.12; No. 48/1482 of 05.06.12; No. 49/1483 of 06.06.12) Follow our press releases!